One of my absolute favorite ways to celebrate Christmas is by making homemade treats to give to those that I love. I mean who doesn’t like to receive home-baked goodies this time of year? I’ve put together a list of my favorite desserts that make great gifts for you to make and give this holiday season. 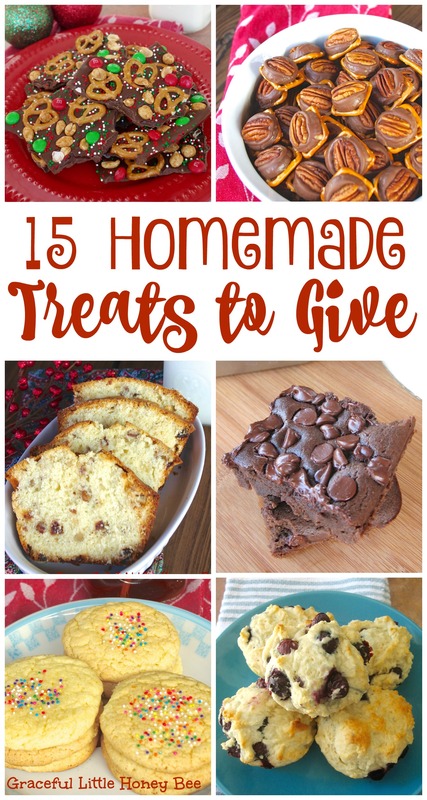 I hope this helps you as you plan your holiday baking and let me know if you tried and enjoyed any of these recipes! Merry Christmas! What’s your favorite holiday treat to make and give? I’d love to know! I make homemade peanut butter cups for my coworkers and my family every year. I love to do bran muffins with cinnamon honey butter in a small canning jar. Everyone loves them! !